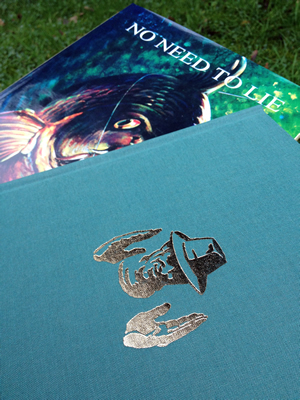 Now also available as a digital download with Amazon Kindle, regarded by many as an angling classic, No Need To Lie was reprinted in 2014 as a limited edition in hardback, with a cloth binding. Leather bindings are also available. 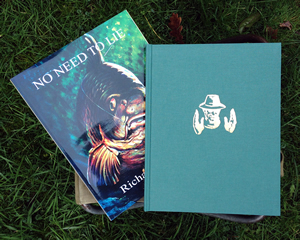 30 numbered leather with slipcases were produced at £199. Order now securely with Paypal using any credit or debit card (you don't need to have a Paypal account) by clicking the 'Buy Now' button or email us to arrange to pay via a bank transfer or cheque. Should you require a particular number, please note this in the additional instructions or in your correspondence. 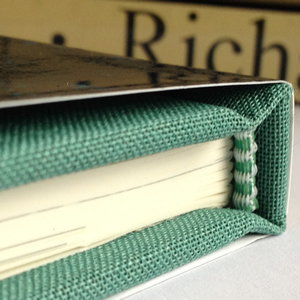 Please use the 'Buy Now' button below for the cloth bound copy. To order a leather bound edition (shown below), please click here where you can also see more pictures of it. For shipping overseas, please click here. Reg Cooke’s wonderful illustrations accompany the ‘pulse-stirring nature of these big-fish catches’ and have been painstakingly restored. 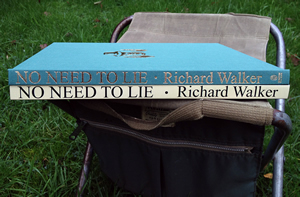 “Walker is a man of deeds as well as words and the title of this book, No Need To Lie, could not have been more aptly chosen. His many angling feats as a captor of big fish are well known. All have been reported in print and the stories and photographs have thrilled thousands of Angling Times readers. That is one reason why this book is bound to be a best seller. 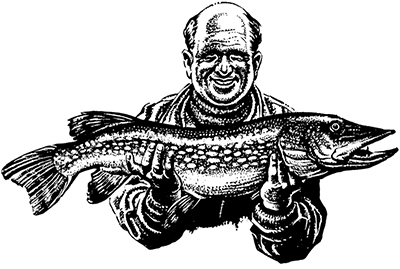 Another mark of its greatness is the delightful work of artist and angler Reg Cooke. 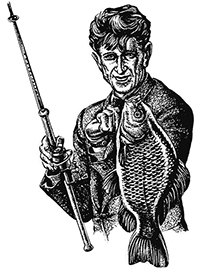 Reg Cooke’s angling knowledge has stood him in good stead in his execution of some dramatic black and white drawings and beautiful colour illustrations. Every chapter is livened by his work, which makes No Need To Lie the most lavishly illustrated of all recent angling publications. 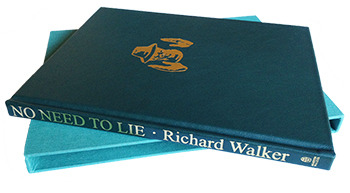 Richard Walker’s graphic writings and Reg Cooke’s life-like illustrations have combined in harmony to produce a book every dedicated angler will want to possess”. or email us to arrange to pay via a bank transfer or cheque. the additional instructions or in your correspondence.